we were asked if we would also produce a 1:48 version. When we said yes, it was obvious that a 1:48 missile would be necessary - hence this kit! a 1:72 version will also be available. Design of the model is now complete and the masters will be produced in April 2017.
and finally the kit for AEC Mandator transport vehicle. 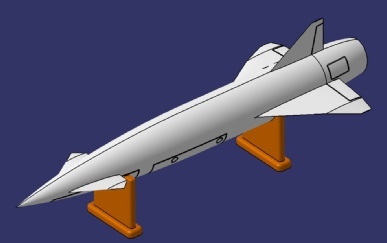 and with the left side of the tailcone removed to show the Stentor rocket motor. while the second is vertical in the flight configuration. 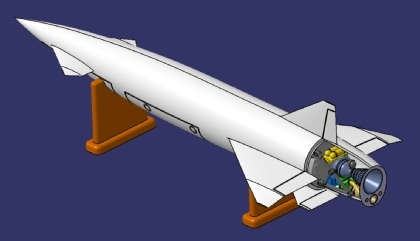 The tailcone is intentionally removable to show the Stentor rocket motor.